It’s been more than a month since I last posted. Time flies when you are busy working on the things you enjoy. After reading a piece on the lacklustre performance of hedge funds versus a standard 60/40 portfolio mix, it got me thinking deeper about stock bond allocation. 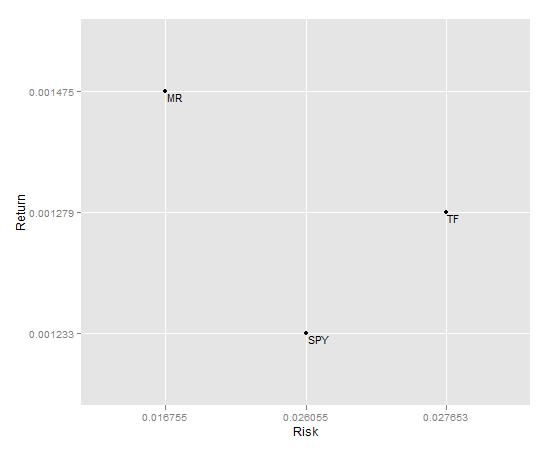 In this post I am going to dissect and check the internal workings of the equity bond allocation and see if there are any tactical overlay that can improve a static allocation mix. Data: I will be using monthly data from Data Stream and Bloomberg; SP500 and 10 Year treasuries, all total return from January 1988 to May 2012. 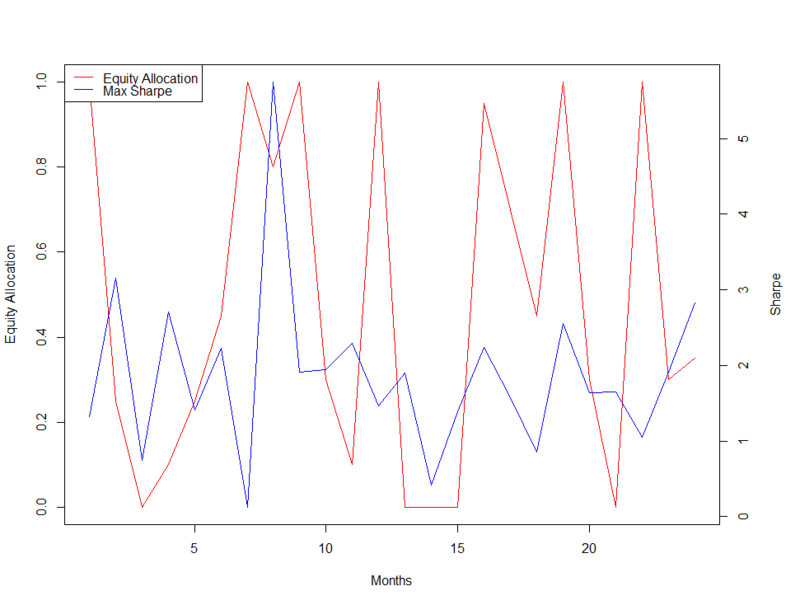 In the above chart, I’ve graphed two lines each with its own respective axis. 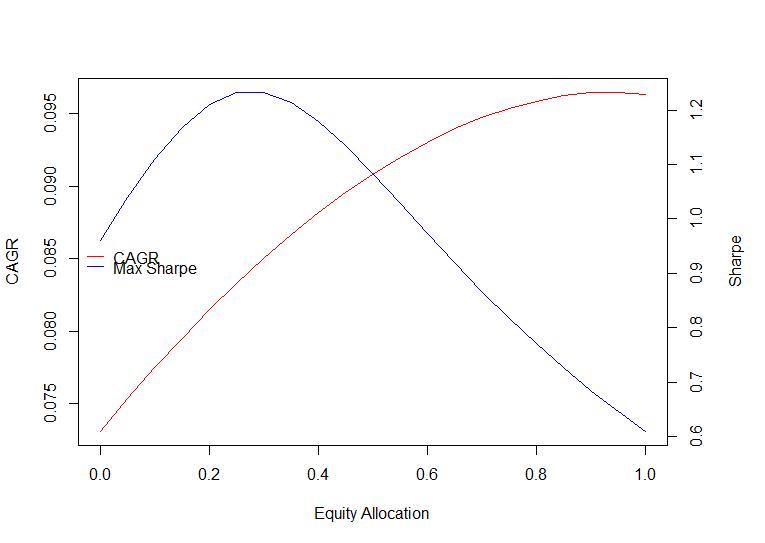 From the chart, it seems that the equity allocation that provided the highest Sharpe Ratio is ~0.25. This seems to be similar to a risk parity allocation as historical data shows that such allocation is very close to optimal risk parity. 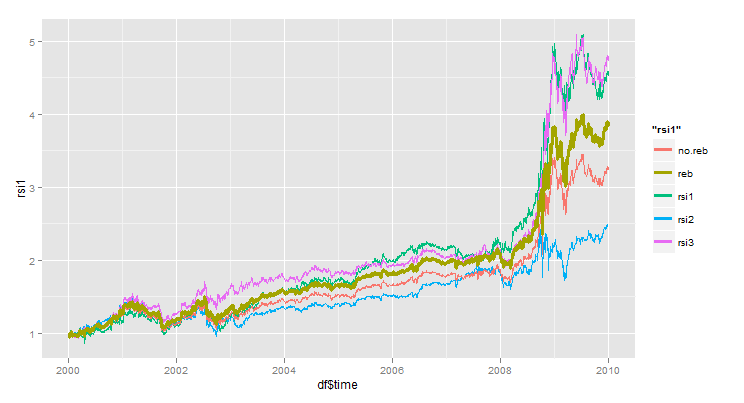 Diving deeper, I went in to check each successive 12 month period’s highest Sharpe equity allocation from 1988 to 2012. In another word, this takes us back in time! From this chart, the max sharpe allocation varied significantly over each year. Whenever crisis hit, the allocation to bonds seems to dominate that on equity and vice versa in bull markets. This intuitively make sense as you would want to be in risk off mode during bear markets. 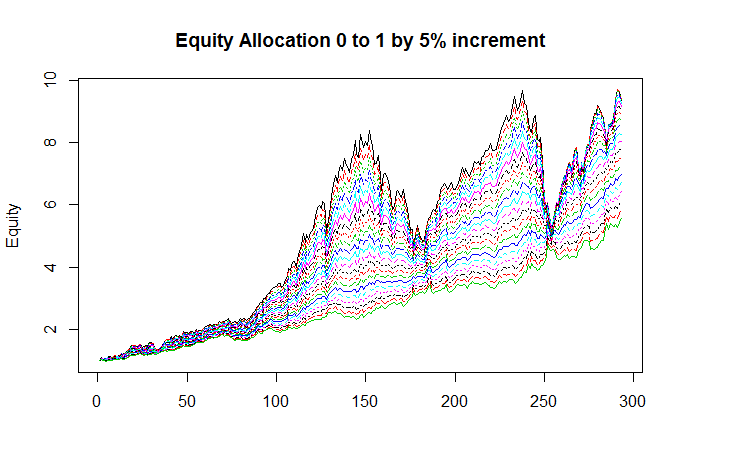 The last chart shows the rolling 12 month performance of each equity allocation from 0 to 1 in increments on 5%. In another post, I will follow up on whether there are any tactical overlays that can improve performance. In my opinion there are two enemies to successful system development. One is the “exploitability” of the anomaly you are trying to extract profit from. The other is the parameters that you choose to exploit the anomaly with. The “exploitability” aspect is something you can’t have much control over as the profitability of any anomaly is in constant flux. 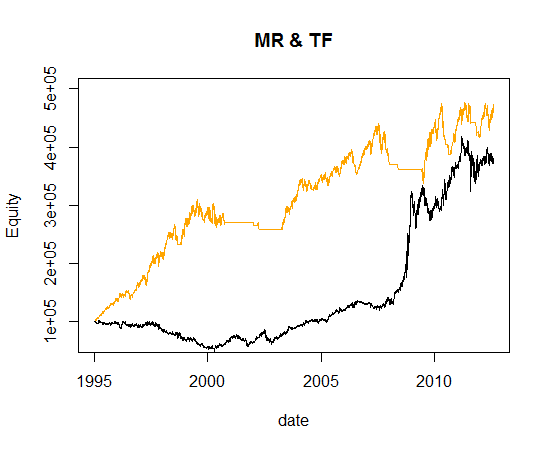 One example is the profitability of trend following in general. 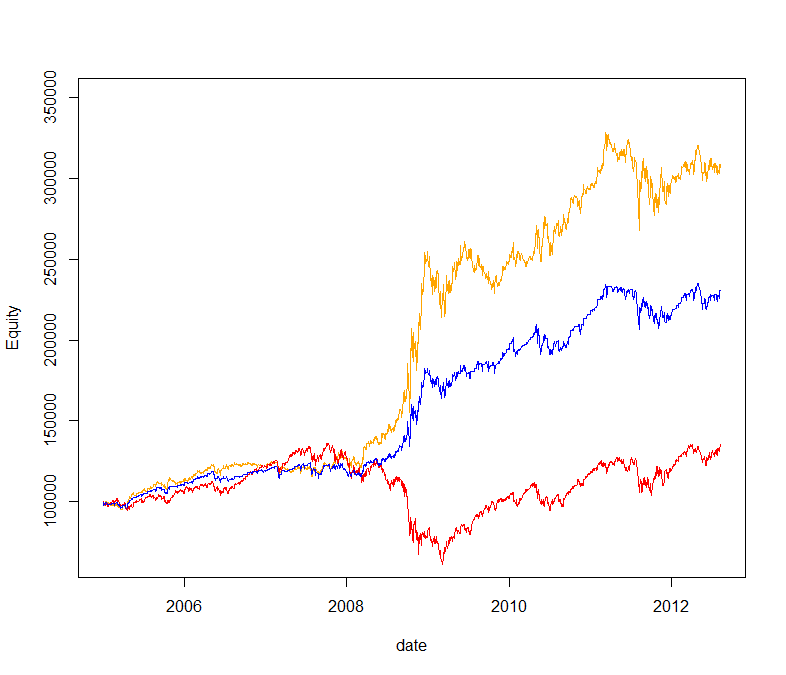 When markets are choppy, its tough for any trend followers to extract sizeable profits. The other area that you have absolute control over is the parameters with which you choose to trade with. 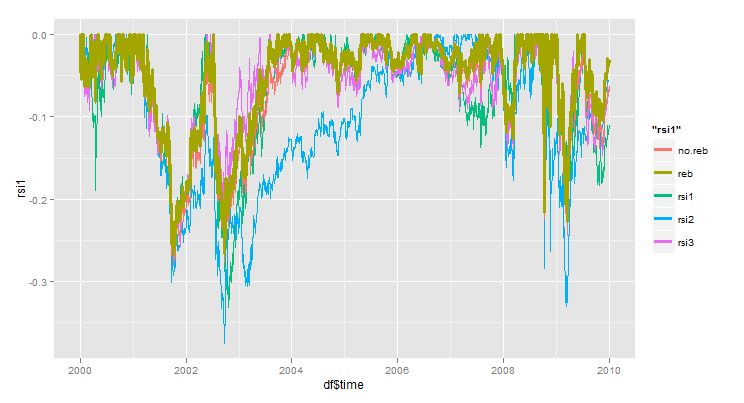 The more varied the parameter selection, the more robust you are as the diversification increase will reduce probability of loss if any parameters were to suffer lack of performance. Parameters here can literally be the days you choose to employ a MA crossover strategy or it can extend to similar models like breakouts. 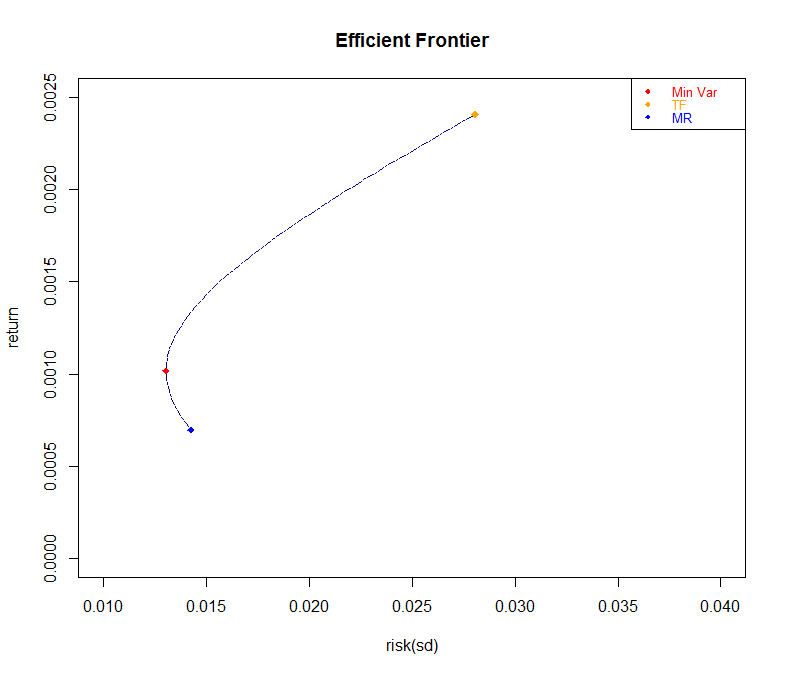 In the following experiment, I will test the performance of 5 different models. 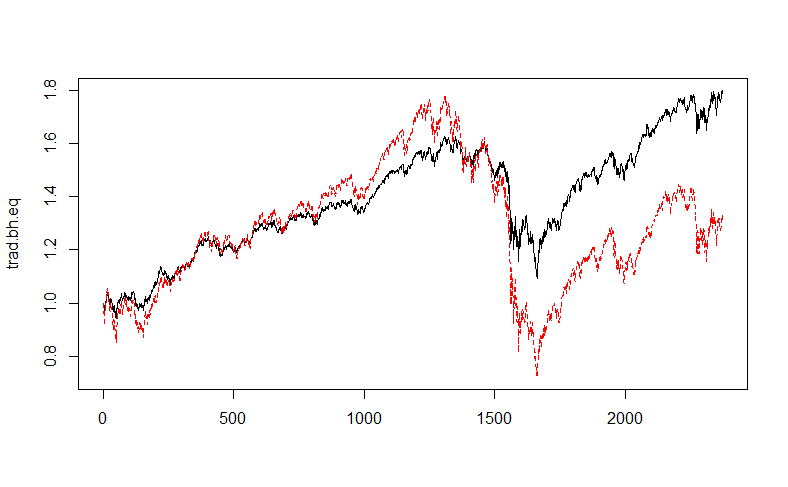 They are all mean reversion in nature. 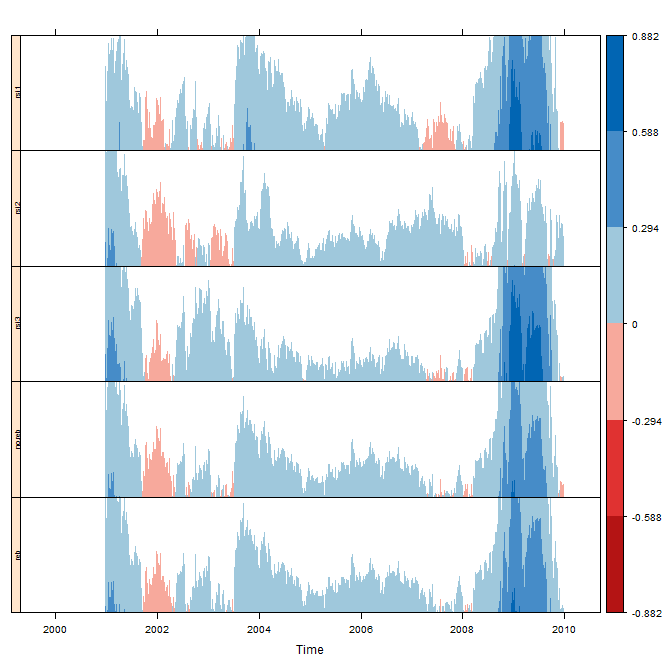 Parameter insensitive models rest on the idea that no one knows what the future holds and how each parameter will perform. 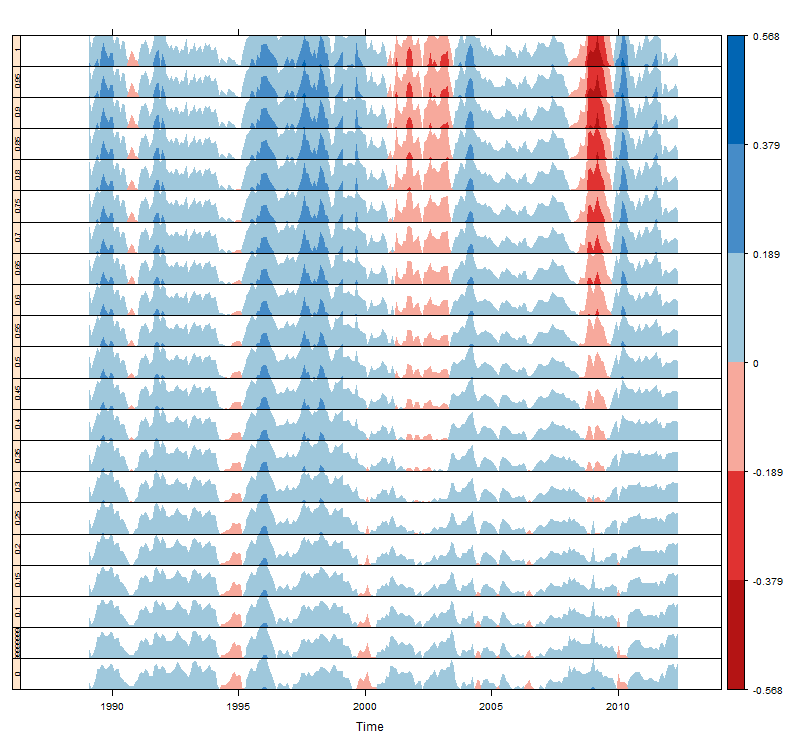 Instead of just relying on past data to select something that “was” consistent, parameter insensitive models try to avoid putting all eggs in one basket. The following is the equity curve of the strategy. One little experiment cannot prove anything. I am still trying the idea out in many different ways and hope that through further research, I will arrive at some more concrete conclusions. When I first started to get in to systematic trading, I never sat easy on the fact that after the entire system was built based on objective sounds principles, the selection of portfolio to trade was subjective. How can the most important part of the whole process be left to discretion? Just like our stock forecasts never seem to pan out the way we want, I don’t think the selection of the portfolio based on our assumption that individual markets will continue to behave the same way will lead to anything accurate. I went to look at Markovitz’s stuff and found it to be fundamentally thought provoking but technically counter-productive. I cant really say its a waste of time when millions (billions?) are managed this way. Lets just say their measure of risk is inherently flawed and keep it at that. Over at TB forum the other day, I landed on a idea that seems to be quite promising. It also took into consideration of many traders that have little capital. It conveyed the idea that a starting trader who has little capital to risk would inherently accumulate greater risk than starting traders who started out with a couple of million dollars in the futures market. 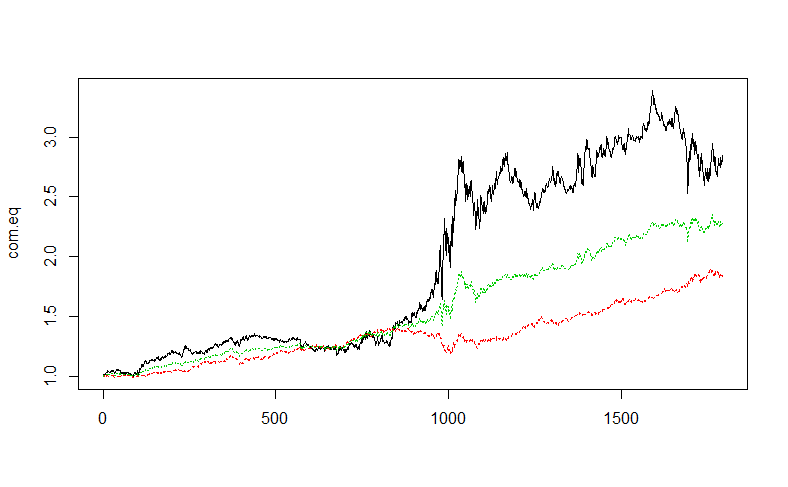 This is caused by the fact that the small trader cannot use diversification to his/her advantage. Solution: Predetermine the number of slots/positions (fixed) you would like to have. The number of slots is directly proportional to the amount of portfolio heat you can have if you have positions open representing each market in each slot. The only thing that can change is the markets that are in each slot. They can be replaced by new markets based on different criteria like liquidity, relative strength, trend strength, etc. This way you will only take the gist of markets based on your criteria for selection. Now instead of monitor your static bunch of markets you can monitor as many markets you want and only take signals from the ones that your criteria deems best.